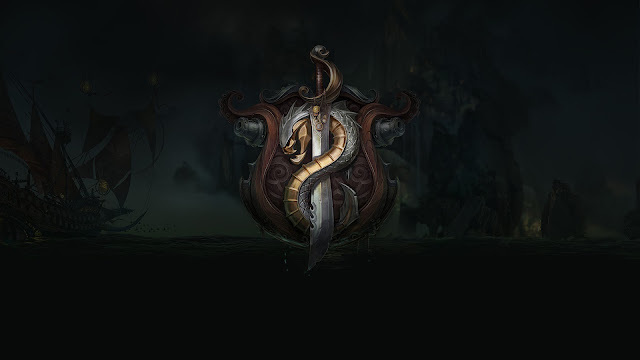 Today's red post collection includes a countdown to the start of Bilgewater: Burning Tides act one, Lyte discussing the Team Builder Draft feature currently in development, Meddler on experimental Mordekaiser changes testing internally, Mirross on champion mastery emotes being visible to enemies, and much more! A new promotional page for the upcoming Bilgewater: Burning Tides event is up! "A teeming port where fortunes are made and ambitions shattered in the flash of a cannon or the slash of a saber. For those fleeing justice, debt, or persecution, she’s a city of new beginnings. Here, one can hide in anonymity among the violent crucible of cultures, races, and creeds. But the unwary must mind the shadows, for everything in Bilgewater can be bought. In this place, even fate has a price." Below the message is a locked icon that reads Act One & a count down! Check back soon for the start of Bilgewater: Burning Tides act one! Lyte has been busy on reddit and ask.fm discussing the upcoming Team Builder Draft feature. "We'll be the first to admit that Team Builder "Classic" solves a lot of problems, but also has a few major issues that we've solved in the new Team Builder Draft experience. For context, Team Builder "Classic," reduced reports by about 26%, increased honors by about 18%, and reduced negative/toxic chat by about 36% in wins, and 23% in losses. It also reduced leavers/AFKs by about 8-10%, I don't remember that one off top of my head. One of our primary goals in Team Builder Draft is to retain some of the benefits above in the design of the system, but invest heavily in solving the queue time issues and improving the matchmaking quality. We've also invested in the actual UI work so that it's much faster to setup your team, play with friends and get into the game. So far in testing where we bring players into Riot HQ to test Team Builder Draft, we've seen the vast majority of players prefer the experience over every other queue experience. So for now, we're not going to encourage players to funnel into Team Builder "Classic," and we're going to see if Team Builder Draft is popular enough that it becomes the dominant Champion Select experience. Happy to answer questions about Team Builder Draft in this thread." "The Team Builder Draft experience just has players select 2 positions, and you choose your champion in the new Champion Select experience. So, you'd instead pick "Top/Mid" as your positions, and you'd be assigned one in the Champion Select screen, then get to choose Teemo either way." My personal problem with Team Builder has always been the hour long queue time I get if I pick anything other than the most popular stuff, which to me defeats the entire purpose. I mean it might be a less toxic queue than blind pick, but I don't play blind pick, I just play draft normals, where my experience isn't really toxic enough to warrant moving to an otherwise inferior queuing experience. Is Team Builder Draft expected to have better queue times since at least you won't be instantly rejected for your champion pick? We've put a lot of effort in streamlining Team Builder Draft, so we think it'll be way more reasonable queue times. Choosing 2 positions (instead of 1 position + 1 champion) actually streamlined the speed of the system a lot." "When selecting 2 positions, you can choose one as your Primary, and one as your Secondary. We're working on ways where if you get your Secondary position too often, we'll try to make sure you get your Primary position a few times. At this time we're not allowing players to just select 1 position, even if they understand it would have longer queue times." "If the initial live tests go well and the vast majority of players prefer the new Champ Select experience, it's definitely something we'd love to consider." "Yes, the current version of Team Builder Draft can basically be a "Ranked" experience very easily. :"
"If the live beta test goes well (and is similar to our lab tests where we bring players into Riot HQ to try out Team Builder Draft), it might be an option to replace some queues which will funnel players into the new experience. However, in the system itself we've introduced the "Fill" position which helps reduce queue times, and we're requiring players select 2 positions (instead of 1) which also reduces queue times. If we have to, we're also going to incentivize the high demand positions so you get a small bonus for playing them. We think these 3 things combined should solve the queue time issues nicely." "You can queue up as "Fill," which basically covers all positions. It's a new position we're introducing with Team Builder Draft." "We've introduced the "Fill" position so players like you can still play every position. We also have a few ideas to reward players for mastering multiple positions. If you want to be more tactical in Champion Select, you can still trade champions and pick for others first, etc." "We're doing everything we can to get it on PBE first, no expected launch dates on a real server yet. We're super excited about it too since most of us on the team prefer playing Ranked this way now." "It's a major change to the pre-game flow, and a brand new Champion Select, so we want to avoid this big of a disruption in the 2015 Season. We didn't start too long ago, while we were researching and learning from lessons in Team Builder Classic we were working on a slew of features like Party Rewards (for events like the Pool Party), Suggested Players, LeaverBuster, the machine learning Tribunal and Instant Feedback System and the new Intentional Feeder detection that's going out in the next patch or two." "No, we're going to be adopting your old MMRs from other queues so you won't have to play ~50-75 games to get to your right MMR." "In Team Builder Classic, we did make adjustments to matchmaking based on your experience with the role or position or champion. We haven't decided how we're going to do this with Team Builder Draft yet, and of course it's a bit different because we're only having players choose Position before entering the new Champion Select." How would you argue against a feature that leaves champ select if 4 out of 5 players vote to dodge? Would it not have the same value as a 20 minute surrender vote in-game? We played around with a few "Vote Kick" designs before, and the results were surprising. First, let's assume the design is a simple: players in Champion Select can vote to kick a player, and you need 4 out of 5 votes to proceed. Immediately, we saw the behaviors change in Champion Select. One, players began using the "Vote Kick" feature when they didn't like a particular team comp, when they felt like the Captain didn't ban the appropriate champions, when players played off-meta champions, and sometimes when they felt the opposing team comp was better than theirs. This dramatically increases the amount of time it takes to get through a Champion Select and into the game as many Champion Selects fail out and you have to start over, and then players will complain about it taking 15-20 minutes to actually get through a Champion Select and load into a match. Now to play one game, you need anywhere from 1 hour to 1.5 hours of free time, which was way too high of a time commitment. Secondly, some scenarios with Duo Queues became even more frustrating, because if a Duo Queue group was being negative in Champion Select you still had nothing you could do to resolve it, and the situations felt even worse than before. Some additional designs would be to give every player only 1 "Vote Kick" per day, but just giving 1 vote to every player increased failed Champion Selects by ~20%, which means that you're now going through multiple Champion Selects just to get into a game. We also reduced the penalty for queue dodging before, which would make it "less painful" for players to queue dodge if they absolutely had to, but this increased failed Champion Selects by about ~30%, and again players started complaining about failed Champion Selects and taking too long to get into a game. We think that Team Builder Draft will ultimately solve Champion Select issues better than most other features or systems, so we decided to work on that system first because it also solves a bunch of other problem spaces such as better retention and onboarding for low level players and giving players more control over their Champion Select experience. If Team Builder Draft does not improve Champion Select enough, we have some ideas ready to go such as allowing players to report when someone doesn't play the position they specified, or allowing players to give us a reason (and specify a player) if they choose to queue dodge." Lyte has also been very active on his recently created last.fm page, answering all sort of questions related to the player behavior team, features, and more. Check it out here. "We're testing some really experimental changes for him at the moment that involve making it much more dangerous to be directly next to him. We have talked a lot about whether Morde should have some CC or more mobility. We concluded however that his lack of those tools was pretty definitional to his playstyle and an opportunity to potentially give him some effects we wouldn't be able to do on a more mobile champion (in the same way that Nasus for example's only allowed to have his stacking Q because he has trouble getting onto the targets he really wants). Time wise within a month or two we should either be ready to talk about those changes in detail or be ready to say they didn't work out and we've scrapped them. Worth noting that if we do them they'll be very gameplay driven, so would only include visual changes as needed to support ability modifications. We would love to give Morde a visual upgrade in general, but have other champs that are before him in line for full overhauls." "What we're currently testing is a more bruiser ish version of Morde, that builds somewhat tankier and doesn't have as much front loaded damage. In playtests so far he's still been able to put out quite a lot of damage in a short time frame, but he's had to ramp up to it a bit first." "Morde's Ult will likely remain very similar to its current form." "We did have a go at a similar approach when we were removing DFG. At that time however we only had a very brief period (one patch's worth of development) to investigate and test changes. That wasn't enough time to fix the issues we saw come up, or even investigate a decent range of approaches. We weren't confident in the results of that work as a result, so ended up pulling almost all of it. This time we're putting a solid amount of time aside for both experimentation and testing, so feel it's worth taking another swing at that direction." I wonder how this'll turn out. Pretty hyped hearing about Morde changes, even though it'll probably turn out like WW and never heard from again. Yeah, our bad on WW. For what it's worth I'm very confident we'll be either talking through the details of Morde's changes or telling people they're not happening within at most a couple of months." They've been put on hold, with no currently scheduled plans to revisit them. We would like to do some work on WW someday, there are a lot of other champions we feel are higher priority though. Additionally, it's also been long enough since that WW rework was put together that the state of the game and our understanding of it has changed. We'd want to redo some of the rework as a result, rather than just picking up from where it was. Speaking for game design at least most of us read both Boards and Reddit. Who posts where depends on personal preference quite a bit. I tend to favour Boards a bit more myself, others like ZenonTheStoic seem to have a liking for diving into Reddit threads by contrast, with some Boards posting mixed in on the side." "This time around he wont be getting the full shabang (like sion or GP) but he will be getting some small visual love to represent some of the new gameplay that he's getting. Overall it'll be mostly upgraded spell VFX." "Yea those VFX changes got rolled into this champ update project so we can release them together." "We've actually come back around to the work that started 2 years ago and will have something to show very soon. Statikk picked up the darius project after he finished working on Gangplank, and it turns out we can make a lot of improvements for him without too many dramatic changes. When it's all done, he should have a more healthy + satisfying + some new unique stuff in his kit." "Bleed is staying and stacks will still only go to 5." Many players have suggested that their least favorite part of the ranked experience is the existence of promotion series. We've all heard the stories of players who consistently fail a promotion series upwards of 10+ times. This post isn't about the removal of the promotion series, but a tweak to how they work. Currently, when you complete a promotion series you are protected for a couple of games from being demoted. However, its very easy to slip back a division if you go on a short losing streak (~2 games) while at 0 LP. I have no problem with this outcome, and I suspect very few people do. However, the resulting scenario becomes less than desirable. You find yourself at ~75 LP in the division you started with. This requires you to win 2 games to trigger a promotion series, and to win 2 of the 3 games to succeed. Its a fairly frustrating experience knowing you have to win 4 of your next 5 games just to return to the division you just unlocked. My suggestion (and I'm sure its been said before), is to remove the promotion series requirements for divisions you've already unlocked and let you move freely between these tiers. Keep the promotion series to "unlock" a new division/tier for that feeling of progress or accomplishment. These ideas are good. We're looking at making some changes like this at the end of this season. We'd like to reduce ambiguity around when demotion shortly after you're promoted, as well as the pain points when you're climbing back to a division you've already reached." "Yes. We decided not to make any mid-season changes, but this is something we're planning to do." "This is a cool idea. We will be making some changes to promos at the start of next season or in the preseason. Changing the rules mid season would create a pretty lame situation for players who already played through promos with the existing rule set." "We're are going to change this soon (not next patch, that's already locked, probably one after) - it was mistakenly in a patch note, which caused the confusion. We're going to slightly increase the cooldown and make it respect muting before we make that change though." "Hey dudes. The patch note for this went out early. Our bad. When we tested this on pbe it could get a little spammy when abused. We decided to increase the cool down before going live with it. It will be appearing in one of the coming patch cycles." "We agree the rewards are probably too light atm for these achievements. We think we can do better than ip. Can't share too much on this yet but it is something we are looking at." Good news: Poppy will get a visual update. She's in the same camp as Sion, Taric, Urgot, etc which will recieve complete overhauls which will not only increase fidelity and introduce a newer and cleaner design, but also will aid in clarify and mechanical expression. We did a lot exploration on Poppy and are happy with what we've got. She's currently in the art production pipeline as her kit has been locked for some time. Now it's a matter of time and the technical work of getting that new character to live in game. "Bad" news: Poppy is shipping with a complete kit overhaul which will retain the spirit of Poppy, and utilize some signature abilities, but will probably vary pretty significantly than current Poppy. Think of the same way which we wanted to retain the "feeling" of Sion while keeping virtually nothing of his existing kit. I'e played her, and she's really, really fun. I think players old and new will find a home with her. I think that's what's going to bring her into a place where she'll be loved by passionate players but also new players alike. So shipping the visual update probably isn't going to turn people onto existing, present-day Poppy as much as it will excite people to try what is fundamentally a brand new character which takes what we love about Poppy, amplifies it, and makes her more cohesive. Our goal on ChampUP is to excite enthusiasts, to get at what the real and visceral emotional attachments that bind them to a character and hone them, making that feeling more clear, maybe even stronger. Often that means pretty substantial change, for multiple reasons. Unique identity, clear role and play pattern, character/kit/art cohesion, among other things. A sub-goal is to bring that character up so at the very least new players are aware of the character and can approach it comfortably. To bring that champion back into some rotation even if it's with a smaller but dedicated slice of players. The team is very excited about Poppy. I'm happy to have been part of her development and can't wait for people to get a hold of this take on her. Though things change, the spirit is there I feel." "I feel you on this, and agree that he is in dire need of an update. That said, we want to take the time to do him right and he is in early stages of gameplay design, concepting, and lore work. Don't expect him to come out before Poppy/Taric (both are much farther along), but do know that we are working on him and we are not gonna put it down until we finish. Yorick can be soooo much more than he is and I hope that you will like the results when he's finally rebuilt from the ground up." "After Xelnath stopped working on yorick we didn't end up picking it back up until very recently (march ish if I remember correctly, ah you linked it too). We definitely used some of his work as a starting point and have continued iterating from there." "Hopefully the rest of the Shurima stories will be released shortly. The team wrote these new chapters over a year ago. Sivir's story was mine and I assure you I'm probably waaay more anxious for you to see how she was changed by the Shurima events than anyone."